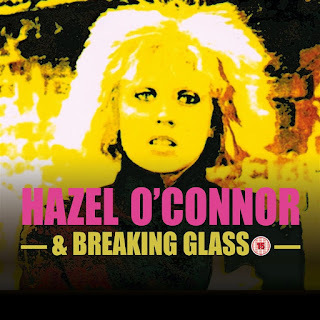 Striding into the spotlight and catapluted into fame in 1980 in the iconic movie Breaking Glass, Hazel not only made ther lead role her own, but also wrote all the songs. The soundtrack album Breaking Glass went on to go double platinum during its 38 week chart run, defining Hazel O'Connor as a powerful passionate performer and a force to be reckoned with. Joined here onstage by Clare Hirst (Bellestars, Communards, David Bowie) on sax, Sarah Fisher (Eurythmics) on keyboards and Josh Blackmore (Troyka/Strobes ) on percussion, the superb blend of the three voices and stunning musicianship add a sweet touch of class to their vibrant performance.